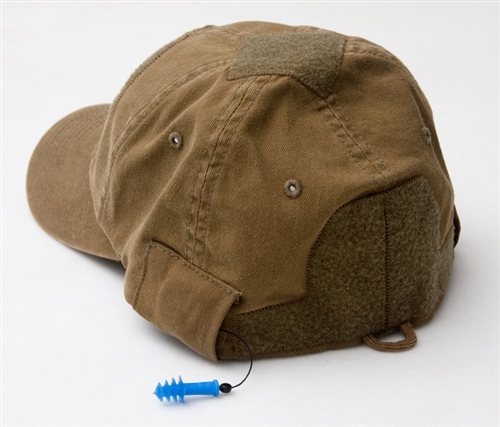 The foundation is a true FlexFit hat then we take off the top rivet and add on a good dose of loop fastener. The front panel is approx 4" x 3" and the rear is 3" x 3" with a 5.5" x 1" strip at the bottom for name tapes. There is even a 2" x 2" diamond up top if you are cool enough to need IR patches. The end result gives good patch holding capability without looking like a full head of loop. All edges have been sewn down for super smooth no snag functionality. Just in case, cord hangs from the bottom back as a lanyard attach point if high speed adventure comes your way. We didn't stop the party there and added on the DLUX element, the integrated hearing protection. Rather than having to hold an extra plug case, these are already close to your head and retractible so no fumbling around. Plugs are included, however the user can use any that are screw-in compatible. 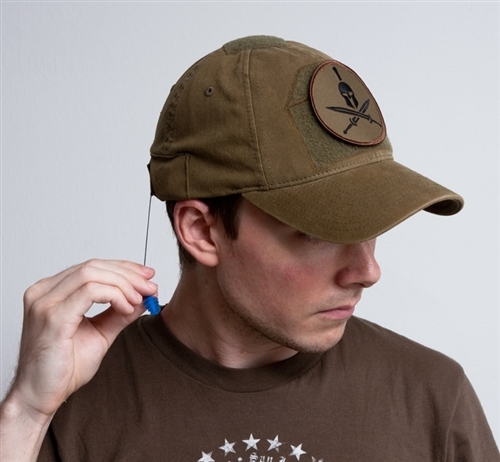 To deploy, just pull plugs out of the pouches with enough slack to comforably fit in your ears. When complete, pull plugs out of ears and press each retract button which is the whole side of the retractor. 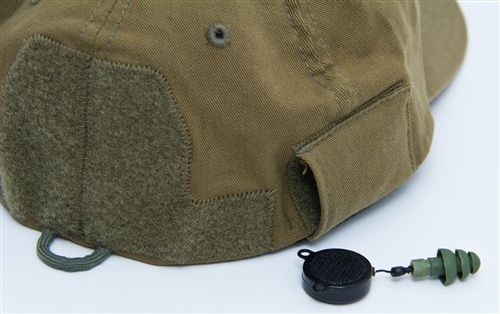 The plugs will now be retracted and can be further tucked into the pocket for a cleaner look. Don't worry, these hats are still compatible with sunglesses and active/electronic ear protection. We Just got in a new batch of multicam, it costs a bit more since done with fancy very weather resistant Multicam Alpha material and matching VELCRO® Brand Multicam loop .